All our rooms have aircondition, cable television, dvd player, safety box, refrigerator and hot shower. 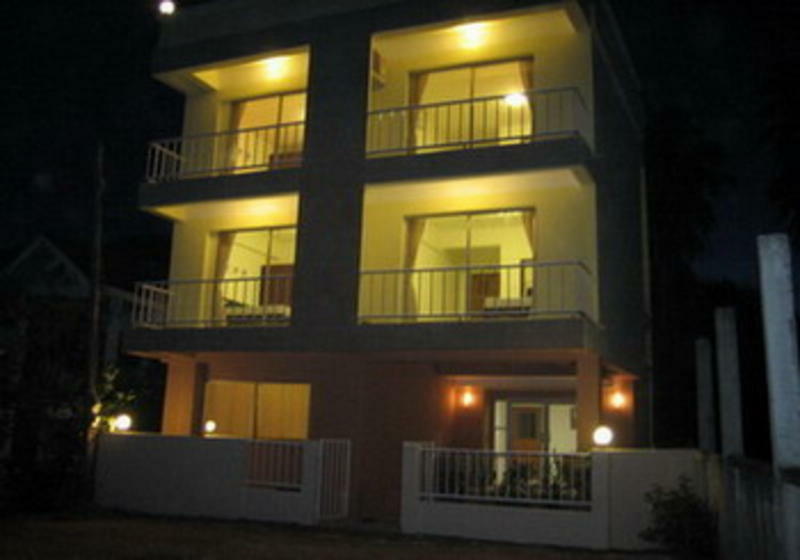 - The suites have an en suite living room with sofas and balcony. In the suite you sleep in a comfy king size bed (Dunlopilo spring). - The standard rooms are located at 1.st and 2.nd floor and have balconies with amazing Mountain Views. The bed is a comfy queen size bed (Dunlopilo spring). - The budget rooms are located on the ground floor. 1 room is with 2 single beds, and 1 with a queen size bed. There is no balcony. **Suite rooms extra bed possible for an extra charge (contact us for more info). We hope to see you in the future. There are different ways to come in to Ao Nang. You are landing in Krabi airport. From there you need a taxi or you can take the airport bus. The taxi will cost 600 baht if we arrange it or you can book a taxi at the taxi counter in the airport. The price is 600 or 700 baht (its not all taxi drivers there know were we are located, and then ask them to call us). The good thing about the taxi, it's driving you right to or door. The airport bus cost 150 baht a person. Its dropping peoples of a long the Ao Nang road. Ask to be dropped of at Soi 11 close to a 7-11 shop. If they don't know ask them to call us. Boats are coming in from Phuket, Phi Phi and Koh Lanta. There is normally transport from the pier to Ao Nang. Ask them to drop you off at or place, if they don't know then at soi 11 close to a 7 - 11 shop. Else ask them to call us. From Railey and Tonsai. Jump of the boat and take a tuk tuk. They should know were we are when you mention Leela Valley. You can also choose to walk, but it will take 15 to 20 minutes and with a heavy back I will not advise you to do that. And a Tuk Tuk only cost 20 baht pr person. But if you chose to walk from the beach, walk up the road were you pass by McD and Starbucks and continue to you come to Soi 11 on the right hand side. And down soi 11 you find Leela Valley on your left hand side. Walk in Leela Valley and follow the small roads down to the corner were we are. Don't turn right or left just go straight on. You should pass a small open reception house and a small restaurant before you come to our place. Normally all the buses have service all way to Ao Nang. Some drop you off at our place other just a long the Ao Nang Road. Then ask to be dropped of at Soi 11 close to a 7-11. If they don't know ask to call us or be dropped of at McD. And take a tuk tuk or walk.